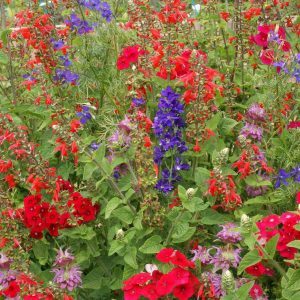 Works best for maintained landscapes such as garden beds and borders. 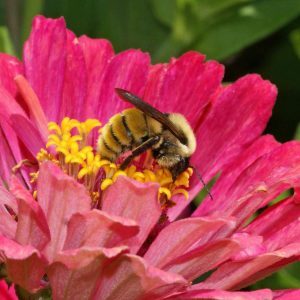 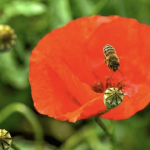 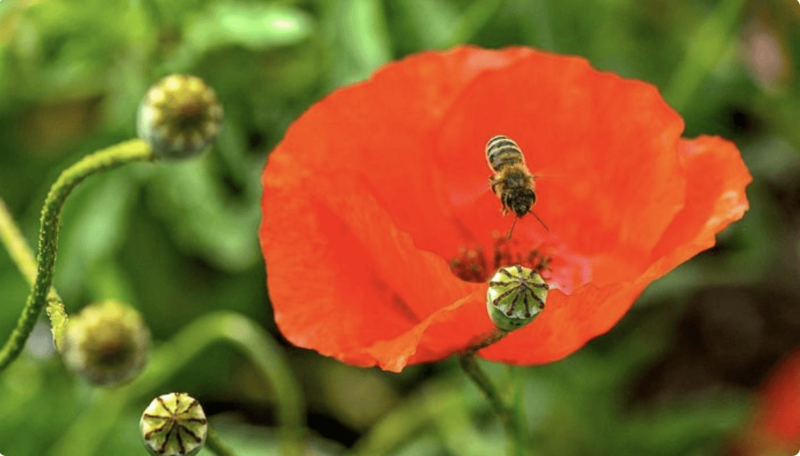 Contains early, mid and late blooming flowers to provide bee forage all season long. 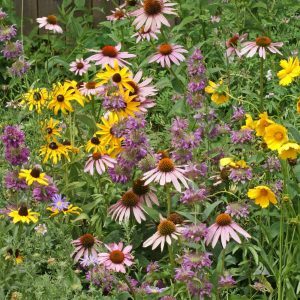 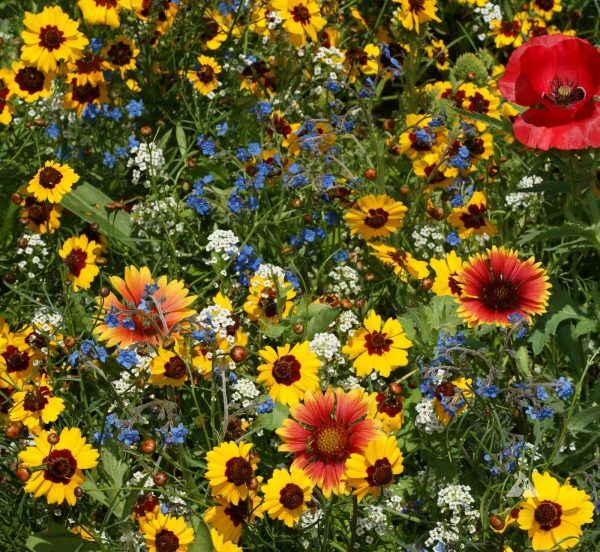 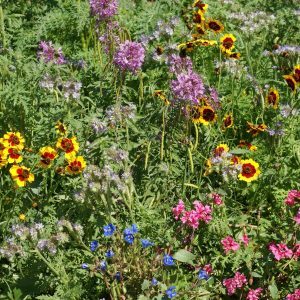 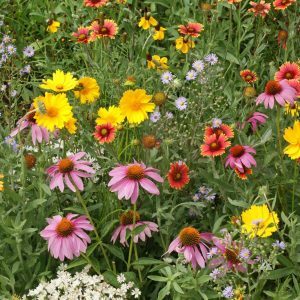 Mixed with annual and perennial flowers that provide nectar and pollen to wild bees, honey bees and other pollinators. 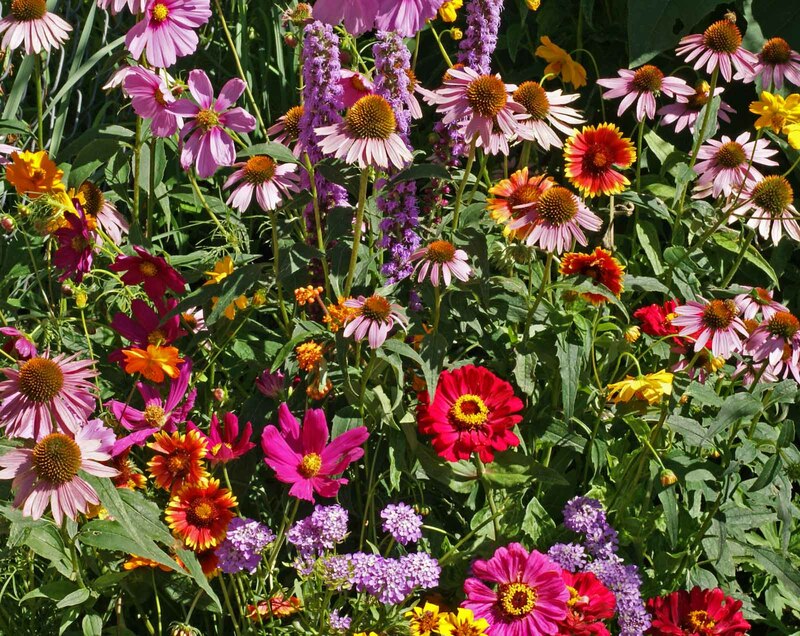 Baby Blue Eyes, Bergamot, Blue Flax, California Poppy, China Aster, Chinese Forget-Me-Not, Corn Poppy, Fleabane Daisy, Globe Gilia, Indian Blanket, Lance-Leaved Coreopsis, Lavender Hyssop, New England Aster, Plains Coreopsis, Purple Coneflower, Siberian Wallflower, Sweet Alyssum and Tidy Tips. 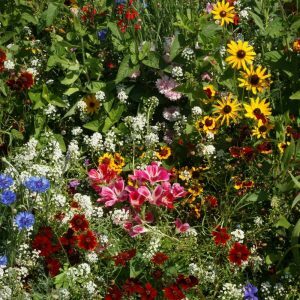 Planting Rate: 6-12 lb per acre, 1 lb per 2500 sq. 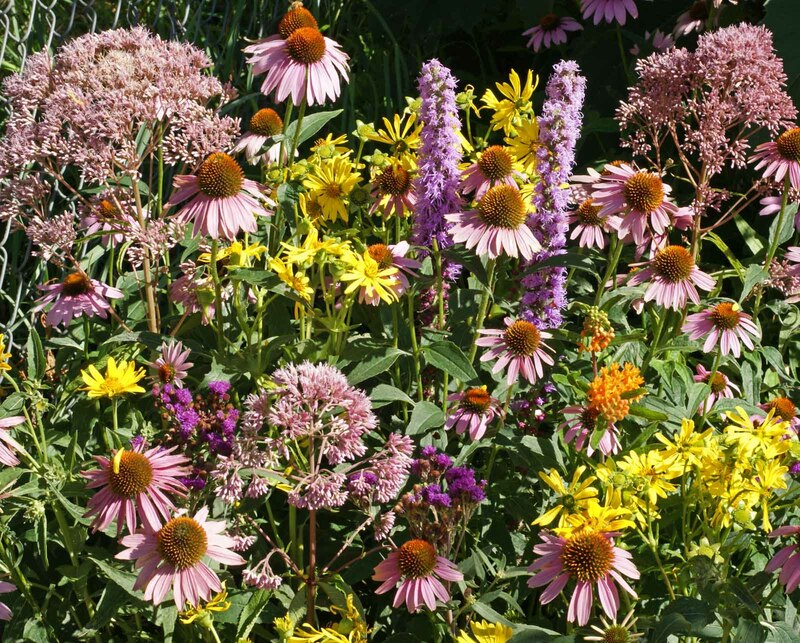 ft.
Grows Well In: All regions of the US and southern Canada under 8,000 ft elevation.